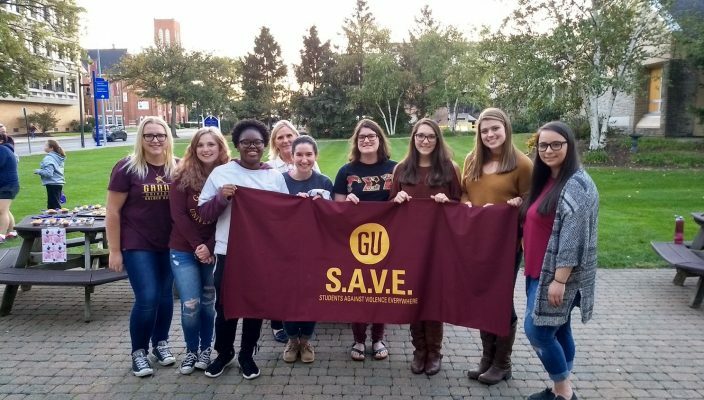 Through all the clubs and all the acronyms on Gannon University’s campus, one with one of the most impactful missions is SAVE. Students Against Violence Everywhere, or SAVE, is engaged on campus to fight and protect against violence of all kinds including sexual assault, intimate partner violence and stalking. The organization was started in 2011 as a result of the Office of Violence Against Women grant to Gannon by the Department of Justice. The grant was given to create a comprehensive violence prevention program on Gannon’s campus through prevention, education, training, guidance, resources and assistance to victims and survivors. SAVE aims to decrease the potential for interpersonal violence on campus. 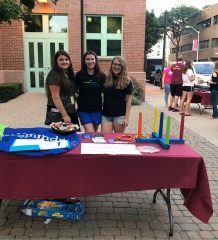 The group involves students, faculty and staff in its initiative through promoting meaningful student involvement and bystander intervention as well as hosting ongoing faculty and staff trainings and a variety of campus-wide events, activities and meaningful service-learning opportunities. Inspired by the Gannon mission statement, SAVE strives to see faculty, staff, students, and community partners create an environment that engages students to act with integrity, civility, social responsibility and respect for all humans.SAVE reaches its goals of safety and engaging all parts of the Gannon community by offering education and training that help prioritize healthy relationships to the safety of victims and procedures that hold offenders accountable for their actions. “SAVE is all about helping students feel safe on campus, while also working with different organizations within the Erie community,” Zaakiyah Boyd, a sophomore criminal justice major and president of SAVE, said. After experiencing friends go through abusive relationships and being unaware of what to do other than be there for them, Boyd was inspired to join SAVE. “After the two years I have been in SAVE, I know that it may be hard, but talking to someone close to you or an adult is very beneficial in helping one to move forward,” she said. Students, faculty and staff can be on the lookout for future events hosted by SAVE centered around violence awareness and prevention. 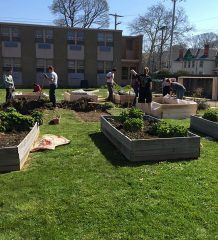 SAVE is a division of Student Development and Engagement. Its office can be found on the second floor of Beyer Hall in Room 201D. Students interested in more information may contact SAVE coordinator Susan Majocka at kerner005@gannon.edu.